Joining forces with Razor, an enigmatic rebel lacking both a verbal and a physical filter, and her band of Misfits—Brooke, Sophie, Hunter, and Seth—Dawn is thrust into a race against the clock to solve the mystery surrounding brutal Born kidnappings and come to terms with the sudden discovery of her own unique powers. With time ticking away and Born vampires’ lives in jeopardy, it quickly becomes evident that someone—or something—desperately wants her and is willing to shed any amount of blood to get her. 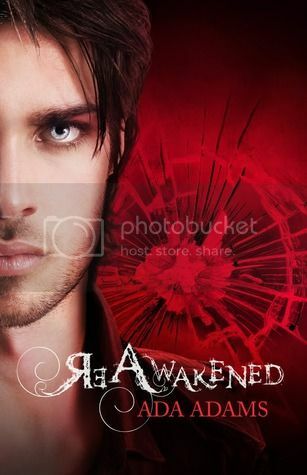 I simply adore the world building in both ReVamped and ReAwakened. It's unique--vampires among humans? Really? Really! It's good to read how Dawn is growing from ReVamped. There's more responsibilities since the misfits are going to be the guardians of the town but things aren't going smooth for their group. Terrible things are happening and the new vampire president seems to be hiding something. What could it be? Will Dawn be able to find out? One of the things I appreciate about ReAwakened is new character! Usually, the focus tends to scatter when there are just so many characters around. I'm happy to say that this doesn't happen in ReAwakened--it only makes it more enjoyable and interesting to read! I think Razor is a great character which brings fun into the book and I can say that he's comparable to Sebastian! The unexpected ending left me craving for more and it leaves a great opening for the 3rd book, which I'm really looking forward to. If you haven't read the series yet, I highly recommend you to read them! I live in Toronto too!!!! Great Review I'm excited to read this series!